﻿ Amanada's Lemonde Stand Guinness World Record Attempt 2017 : You're never too little to make a BIG difference in this world. Nothing's impossible! Lemonade Stand Guinness World Record Attempt - Coming Soon! Help us make history by registering to be a part of our world record bid for the most lemonade stands in a row, at Downsview Park! The date will be announced soon! Sign up to participate and pick a charity to raise money for. Registration includes a Reusable Lemonade Stand, Lemonade Pitcher, Lemonade, T-Shirt, Custom Hat & More. You get to keep your Guinness Record Lemonade Stand and all the above!! Look Who Also Supports Amanda's Lemonade! 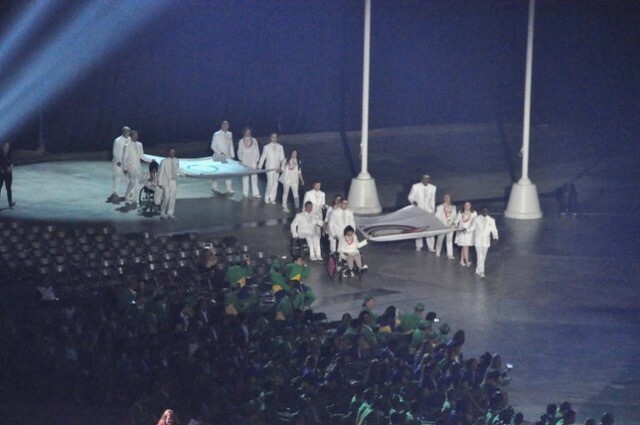 Visit our Past Events Page & Flickr Photo Album To View Some Celebrity Pics! AMANDA'S LEMONADE STAND GUINESS WORLD RECORD EVENT DATE CHANGE!!! Still working on it! Need to put together a bigger team to assist! join us in making the world's longest lemonade stand in support of the charity of your choice. 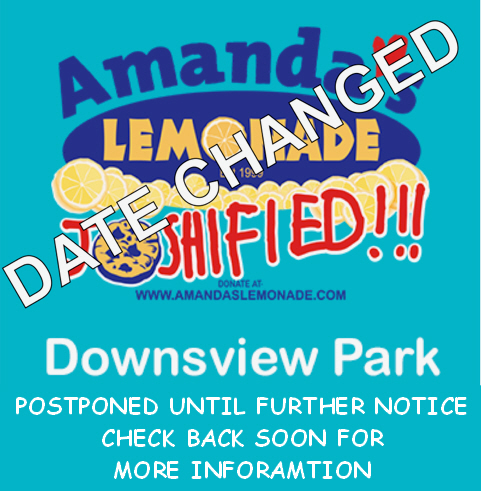 We will have at least 365 lemonade stands connected in a row at Downsview Park, Toronto - Details coming soon! The interest and support for the idea has been truly wonderful but we have also received a lot of feedback from many companies and charities that they would love to be involved but need more time to get their teams on board and to raise the funds and get the word out, so it makes sense that we make it the large amazing event that it should be and give people more time to plan. Our Social media and Entertainment volunteers have assured us that they contacted everyone last month that is participating as a vendor and an entertainer and also people that have registered to have a booth but we just heard from someone that apparently didn’t get the notifications so we are reaching out again just in case others were missed. We are busy working with the sponsors to make sure everything is still in place moving forward and it is. We would love to hear back from you too to make sure this time that you have received this message and we will let you know as soon as the new date has been decided upon. Also it will be the 20th Anniversary of Amanda’s Lemonade Stand, so that will make it even more amazing. The people we have already heard back from that have registered to have a Guinness record stand or are participating have been happy for us to hold that spot for them for next time so please let us know if we haven’t heard from you yet. Click here to view a few videos of us since I was 2 years old. So far we have raised over $210,000 to fix kid’s hearts that are broken and if they can’t be fixed, help get them a New one. But two hundred and ten thousand is just a number, and numbers have to come from somewhere. That seemingly big number started with one. One is the first glass of lemonade I ever sold. One is the first dollar I ever donated to charity and one is YOU, the amount of people it takes to change the world. 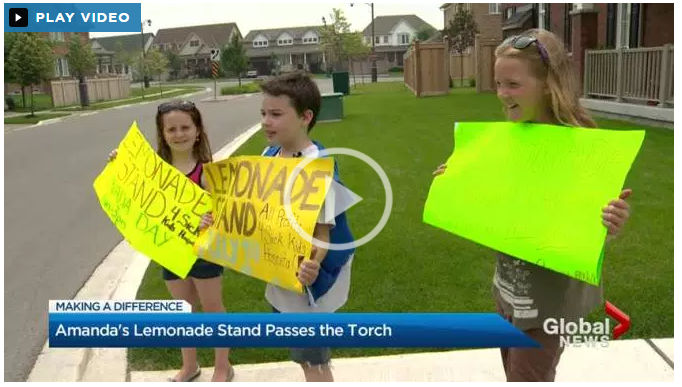 WATCH ABOVE: Amanda Belzowski started Amanda’s Lemonade Stand back in 1999. 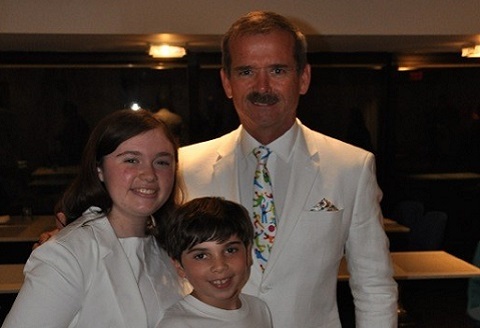 Since that time, she hass raised $210,000 for numerous charities supporting cardiac care for children both here at home and abroad. 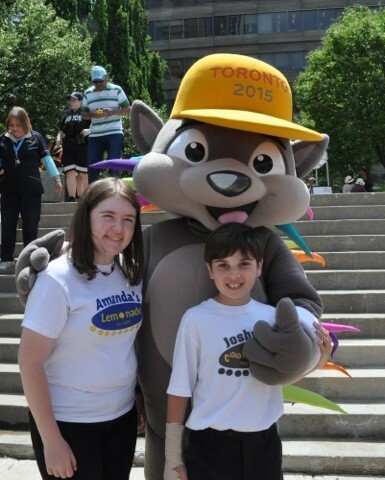 Now that Amanda is all grown up and attending university, she’s passed the torch to her 10-year-old brother Joshua. Susan Hay sits down with the new CEO to find out where his passion comes from to keep his sister’s dream alive. It’s the time of year you’ll begin to see fresh lemonade stands popping up in your neighbourhood. However, for Amanda’s Lemonade Stand, it has been in business for the last 19 years. “We were going on the Heart and Stroke Ride for Heart and coming home we were passing a lemonade stand, and being two years old, I asked my mom if I could have one and she said, ‘Sure,’” said Amanda Belzowski, founder of Amanda’s Lemonade Stand. 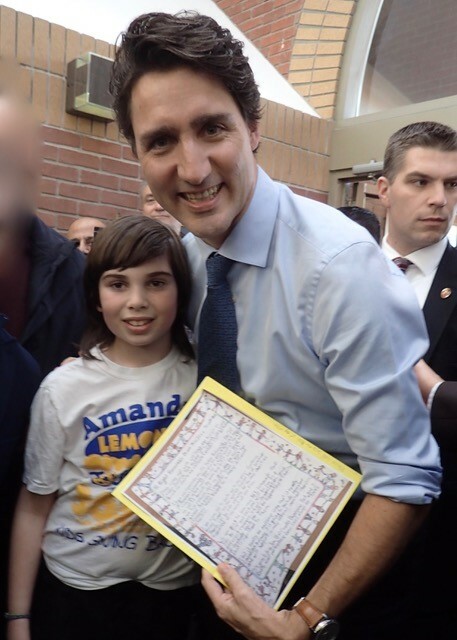 Amanda’s Lemonade Stand has raised more than $210,000 to date for numerous charities supporting cardiac care for children, both here at home and abroad. Now that Amanda is grown up and in university, she has passed the torch to her 10-year-old brother, Joshua Belzowski. As for why Joshua wanted to take over the stand, he said he wants to prove that the smallest people can have the biggest impact. “I really wanted to keep the saying that, ‘You’re never too little to make a big difference in the world and no efforts too small to change the world,'” said Joshua. Not only is Amanda Joshua’s older sister, but she acts as a mentor to the young CEO and she is encouraging and teaching him along the way. 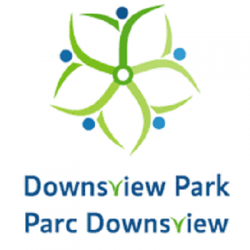 Since the long-time lemonade stand grew in popularity, this year it’s changing things up by moving to Downsview Park from their front lawn on June 16. “We’re going to be raising money for the Canadian Cancer Society Relay for Life,” explained Joshua. With each passing year, the exuberant duo continue to help change the world one glass lemonade at a time. Please Click Here for images and information about Amanda’s Lemonade Stand from 1999 to present. 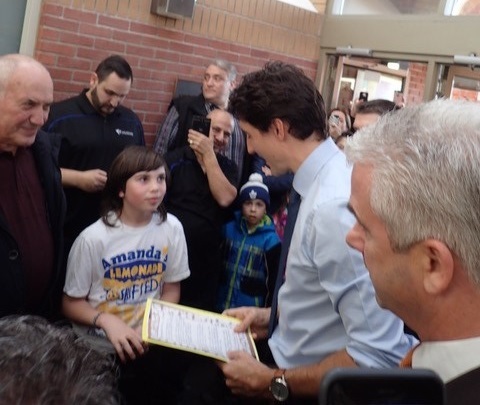 Amanda’s Lemonade Stand Has Raised over $210,000!